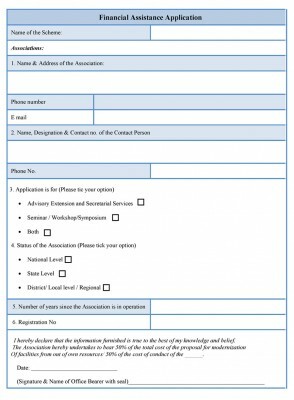 This form is used for the purpose of gaining financial assistance for certain event, program, seminar etc. The purpose of the application form must be clearly stated by the organization requiring financial assistance. The form has to be prepared in accordance with the respective laws of the state. The form has to be made in a proper format so as to be legally acceptable. The form should state clearly the amount of financial assistance, the event for which it is required and other important information. Below is a sample Financial Assistance application form. An example of financial assistance can be provided in the form of offering students hourly employment. Download online sample Financial Assistance Application template available in either MS Word or Editable PDF format. 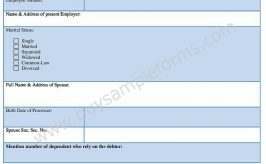 Financial Disclosure Form must be filled and submitted by certain categories of individuals annually. 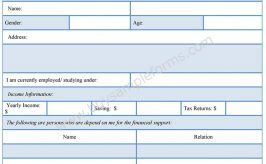 The financial form format template involves recording of transactions in a financial accounting worksheet. This form enables the student to derive benefits available to students in terms of alleviation of tax burden. 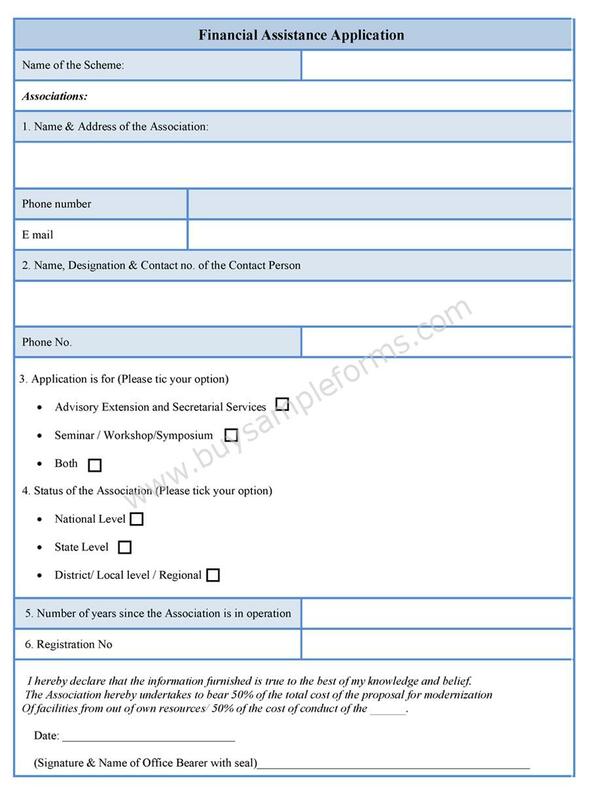 The form contains information related to declaring income from scholarships. Financial Agreement forms are used to depict agreements between parties in matters involving money and payment for services. 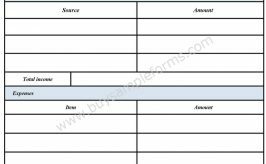 A Blank Personal Financial Statement Form is used to keep track of one’s own finances or sometimes it is also needed while applying for loans. A financial support form contains information regarding financial matter of an individual in order to gain the financial support. A financial verification form is provided where stating financial background of an individual is needed for the professional or personal use. A financial statement form is made to calculate the economical condition of an individual on a monthly or yearly basis. A financial seminar evaluation form deals with the details about a financial seminar, especially the issues of the seminar. A financial request form is made in order to get a financial aid to carry out a purpose or help those persons who are in need. 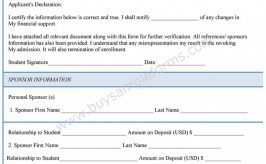 A financial information release form is issued in many fields in respect of its purposes. You can use it in the academic sector where the students need to fill the form to provide their financial status in terms of enrolling names in scholarship programs or for the general purpose. Financial Evaluation Form or the financial assessment form is required for evaluating the financial situation of company or organization. Agricultural business is not different than any other business. All Agricultural based companies are required to submit Agricultural Financial Statement Form.